Five years ago, an earthquake devastated Haiti. Today, organizations and volunteers are still working with local people to build homes, provide healthcare, teach nutrition, and educate children. 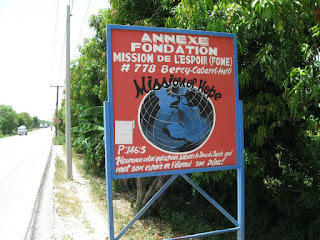 One of the organizations continuously providing care is Mission of Hope Haiti, whose vision is to bring life transformation through love, leadership, service, and spirituality. Each year, Central Baptist Church (CBC) sends several teams to serve and partner in order to help rebuild, restore, learn, and grow. These mission trips are designed to focus on transitioning the work from disaster relief to sustainable assistance, eventually leading to full independence. I'm blessed to have four honorable family members who have experienced this mission. My Aunt Dot and Uncle Mike traveled to Haiti in June 2012 to work in local schools, distribute food and help with the agriculture, build homes, and bring friendship. My cousin Marie (MOH! 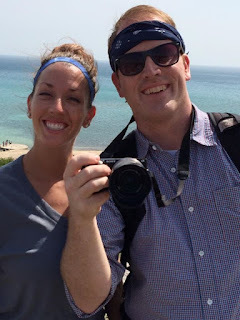 ), whose initials match the Mission of Hope acronym, visited last summer and is returning for a second mission this week along with my other cousin, Michael (MPH), who will be serving as a leader for his fourth time in five years. Marie explains of her trip: "Our group helps in the villages through building, painting and cleaning. It’s hard for me to choose a favorite experience but I adored playing with the children. Their faces light up when we pull out a Frisbee, ball, sang or created a game. I’ve never experienced such imaginative children. Playing with the kids was easy, but the most valuable lesson I learned was staying in constant prayer: for the individuals we came into contact with, for the local churches, for the interns we worked with and for those that the villages had decided to neglect. My faith has always been ‘outside of the box’ and God stretched me that much more. These are all incredible opportunities to connect with the people and share the love of Christ. I am so thankful to be a part of this outreach and partnership with Mission of Hope." Last year, the CBC summer trip consisted of being of service to the village. Mornings were spent meeting people, painting and building homes, and picking up trash. Afternoons were spent playing with kids. "It was amazing to have a herd of children following us all day every day!" Marie noted. This week, Marie, MPH, and their CBC team will be taking more of a hands-on approach to bettering living conditions and helping to build a community that can survive on it’s own. The vital demographic data collected by CBC volunteers will allow Mission of Hope Haiti to "measure their effectiveness in saturating the villages with the gospel and leverage the information for meeting the needs of the people to bring life transformation." 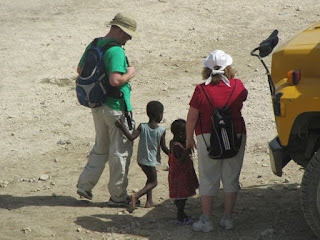 Honoring and respecting Haitian culture and families is of utmost importance on all mission trips; the goal is to ensure that "households receive, understand, and utilize vital community health information." MPH has led four trips in five years with his work at CBC. "For me, it's not about each trip, it's about the bigger picture. Every time I go, I see improvement and development. I want to be a part of rebuilding a nation. It may truly be a task that will span generations, but I want to be a part of that story." Participants who go on the week-long trip each fundraise $2,550 in order to cover the costs of travel, lodging, donations, and more. To support Marie's upcoming trip, visit gofund.me/mohhaiti-marie. 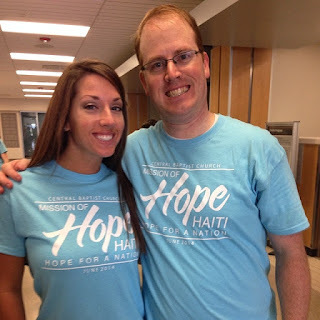 If you can't donate, be sure to think positive and supportive thoughts as MOH and MPH return to Haiti with Central Baptist Church and Mission of Hope to help provide sustainable support. In the meantime, I'll be wearing my Mission of Hope shirt from my cousins back home and waiting to hear all about this summer's mission.